This is an easy week night meal…healthy and light for those summer nights! ***Mushrooms were not in the original recipe but if I have them in my fridge ,and can add them to my meal, I do! -1/4 Cup Tahini —> Tahini is a sauce originated in the Middle East made from ground sesame seeds ! 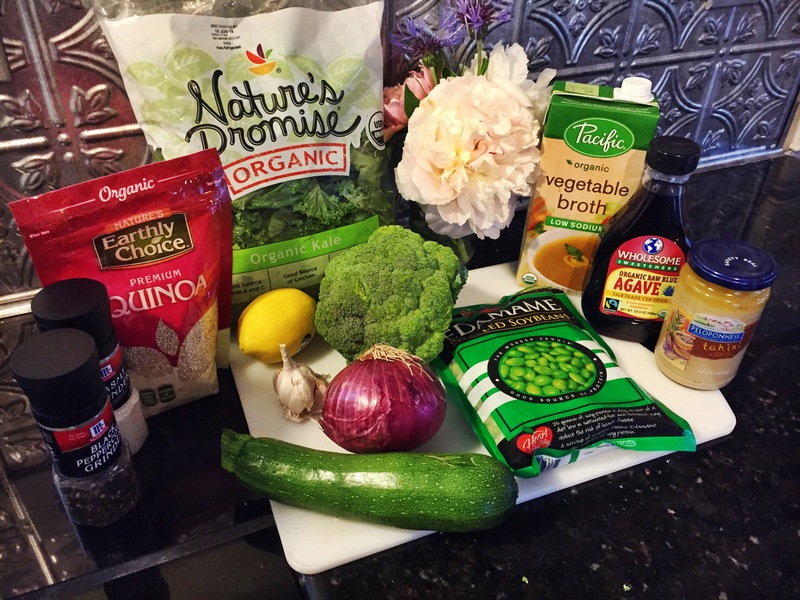 Posted in AgaveNectar, BellinisToBlooms, Cook, Dinner, Dressing, Fresh, GlowBowl, GlutenFree, GreenGoddess, Happiness, Health, Kale, Lemon, NaturesPromise, Quinoa, Recipe, Summer, Tahini, Vegan, VegetableBroth, Vegetables, Vegetarian, WeekNight, WellnessBookmark the permalink.